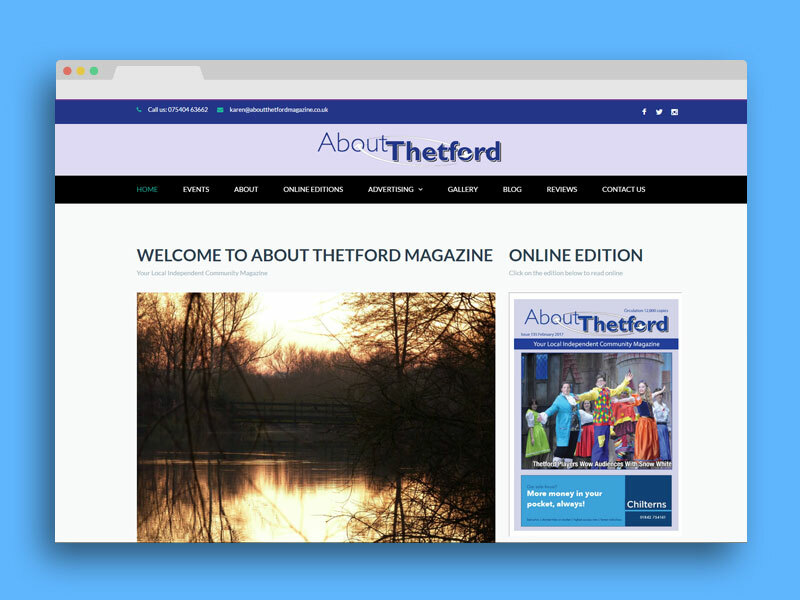 The About Thetford magazine is an independent community magazine covering the town of Thetford and it’s surrounding villages. 12,000 copies are printed and distributed every month which ensures every household in Thetford, Croxton and Barnham is covered. 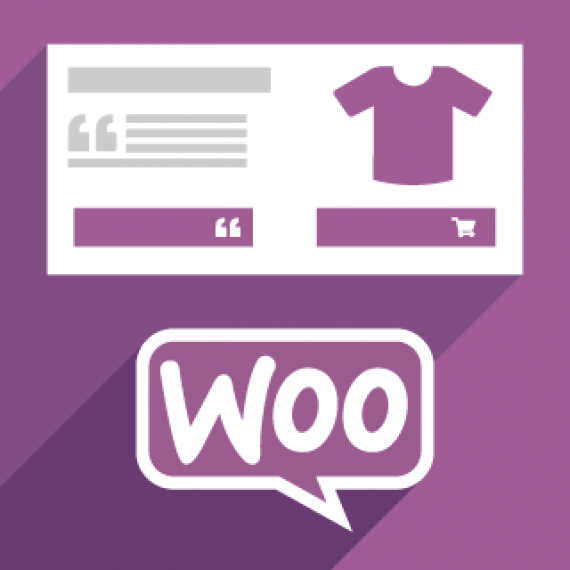 About Thetford Magazine wanted to improve the online presence of the monthly magazine. 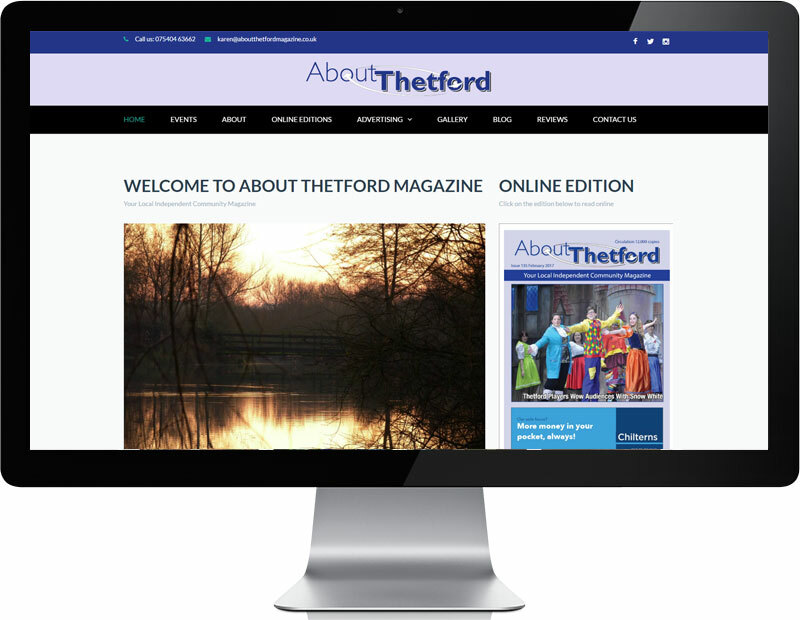 The website promotes an online version on the monthly magazine and help promote the awareness of news and events around the Thetford area. About Thetford also promote across social media to build up a community around Thetford and the magazine.